World champions India's success is, to an extent, a result of the initiatives taken by their former coach Greg Chappell during his controversy-marred two-year stint with the team, feels outgoing Sri Lanka coach Trevor Bayliss. The controversial Australian's tumultuous tenure ended after the India's first-round exit from the 2007 World Cup in the West Indies. "I really don't know what went wrong with Greg. But I am sure the kind of hard work that Greg put in during his times like shuffling the team and giving the younger players a chance is playing a part in India's success now," Bayliss said. Post Chappell, India enjoyed a hugely successful period under the guidance of former South Africa opener Gary Kirsten. The winning run that started with the Border-Gavaskar trophy in 2008-09 culminated with the silverware in Mumbai last Saturday. 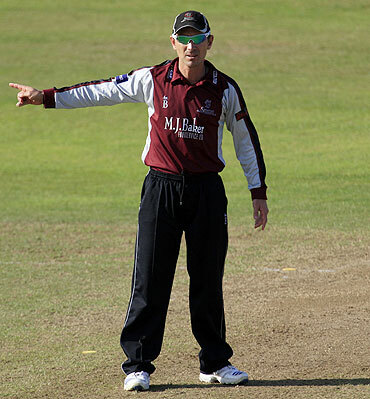 "Kirsten has been a great player of his time, knowledgeable and is well respected. To be a good coach, you first have to get the respect of the players and Gary achieved that over his time there. And the results have helped him too," Bayliss, a former first-class cricketer, said. The 47-year-old Aussie, under whom the islanders have won five Test series while losing two, has also identified India and Australia as the 'last frontier' for Sri Lankan cricket. "We will like to win away from home, especially in Australia and India. These are the two big frontiers for Sri Lankan cricket. Having beaten India in Sri Lanka in 2008 and recently beating Australia in a ODI series Down Under, I would like to believe that we are getting closer to that goal," he was quoted as saying by Espnstar.com. Asked for his take on Justin Langer, whose name has been floating as Kirsten's successor, Bayliss said the former Australia left-hander "will be able to bring in some new thinking on the table for India". "I have never seen Langer coach. I have played a few times against him many years ago, but honestly have no idea of what sort of coach he would make. Like his playing days, Langer will be very dedicated to his job and hardworking and what more can you ask from a coach? "Langer played during Australia's most successful era, so he will be able to bring in some new thinking on the table for India." Like Kirsten, Bayliss too stepped down citing family reasons. "Almost four years without your family is a tough situation in itself. I am first going back to my family in Sydney and will take it from there. Four or five years in a position is a long time. It's probably time that the players hear a different voice."